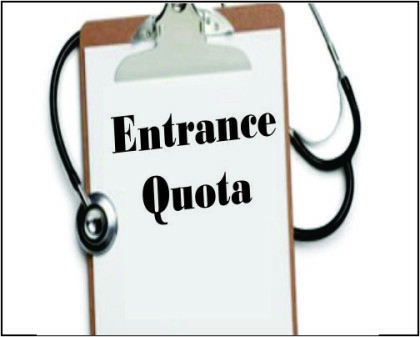 Speaking in the national interest of medical students, the Supreme court has directed the centre and state governments to remove the state centric quotas (domicile quotas) that have been in place in many states for super-speciality medical entrance courses. This comes after a writ petition was filed in the apex court, asking the apex court to direct the state governments of Andhra Pradesh, Telangana and Tamil Nadu, who confine the eligibility only to the candidates having domicile in their respective States for super speciality courses. The petitioner Dr. Sandeep through the petition highlighted that the institutes with super-specialty courses are distributed all over India in a heterogeneous manner and the States like, Punjab, Madhya Prades, Chhatisgarh, Manipur, Arunachal Pradesh, Nagaland, Mizoram, Tripura, Sikkim, Uttarakhand are not having any government institutes offering super-specialty courses and the candidates from the said States have to depend on the other States’ entrance examinations to seek a career in the discipline they are interested, but for the restriction imposed by the States like, Andhra Pradesh, Telangana and Tamil Nadu, they are deprived of the opportunity to participate in the entrance examination. This was pointed out by the petitioner as unconstitutional being against constitutional provisions like Articles 14 (equality before law) and Article 16 (equality of opportunity in public employment, education, etc.). Hence restriction on the basis of domicile should be removed from these three states and merit should be the prime criteria for admission.